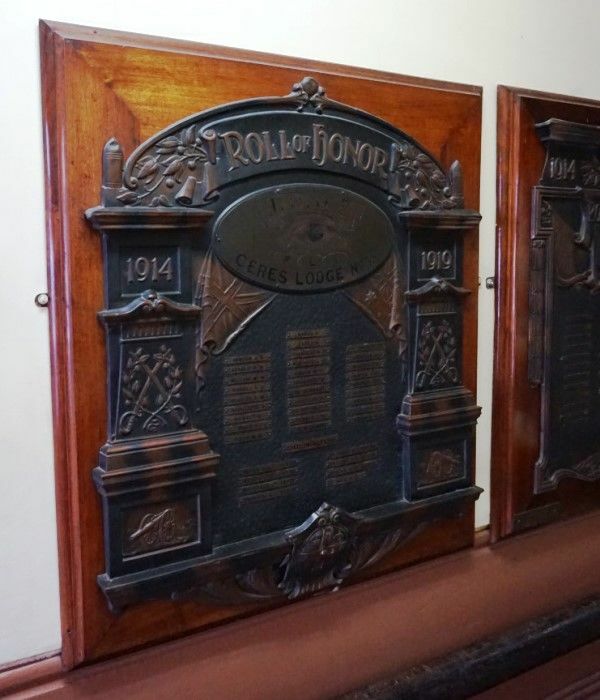 A brass honour roll commemorates members of the Ceres Lodge No 35 who served in World War One. 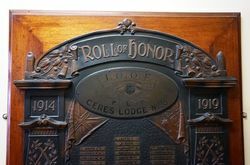 Ceres Lodge. No. 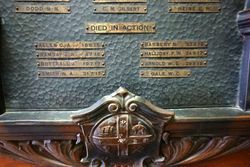 35, I.O.O.F., Port Pirie, extended a hearty welcome to the Grand Lodge Executive, Grand Master, Bro. 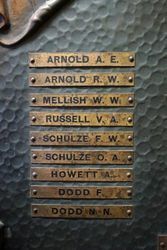 A. J. Grubb, Bro. S. Harvey, jun., and the Grand Warden, Bro.F. W. Davis. 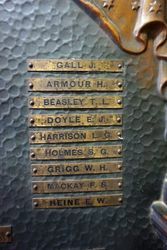 The visitors travelled from Adelaide to assist in the ceremony of unveiling the lodge's roll of honor on the 2nd June 1919. The roll contains the names of 37 members who enlisted, of whom eight made the supreme sacrifice. 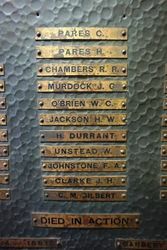 The unveiling ceremony was performed by the Grand Master, who stated that in South Australia 700 members of the order had enlisted, of whom 96 had been killed on the battlefield. Recorder (Port Pirie), 4th June 1919.